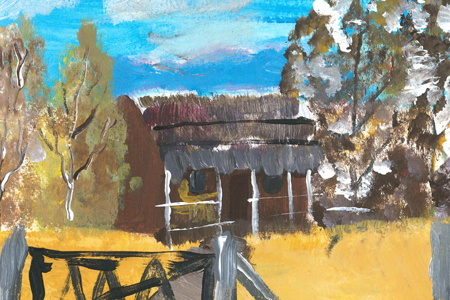 Lynette Shaw’s debut solo exhibition of works on paper and paintings references her familial heritage of generations lived in Cairns and on the Atherton Tablelands. Lynette Shaw is a nature enthusiast, green thumb and adventurer. Her keen eye sees the majestic and minutiae of landscapes. Fondly remembered scenes distilled from a lifetime of memories, are imbued with exquisite detail, delivered with confidence and rustic immediacy. This series represents a vast body of work emanating from a life-long commitment to a robust, diligent arts practice of uncompromising ideals and evolving technique.